It's Tuesday again - and my final post for Eileen Hull's November collaboration with DCWV Paper Stacks. 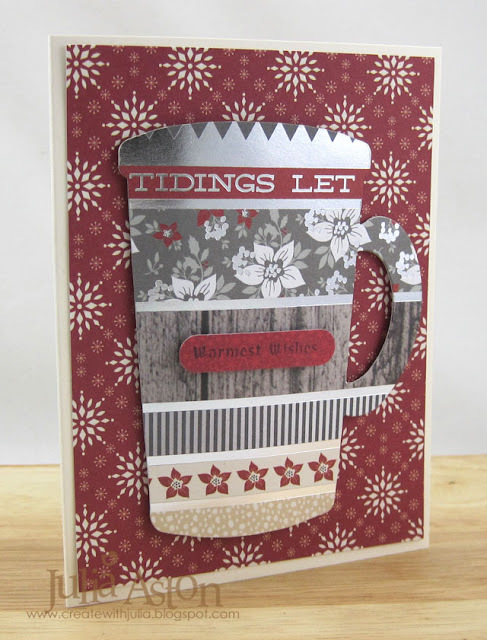 Today I'm using Eileen's Mug and Spoon Die along with these beautiful papers from Cranberry Christmas Paper Stack. I tried my best to line up the die so the sentiment printings on the paper would be close to the top of the mug. 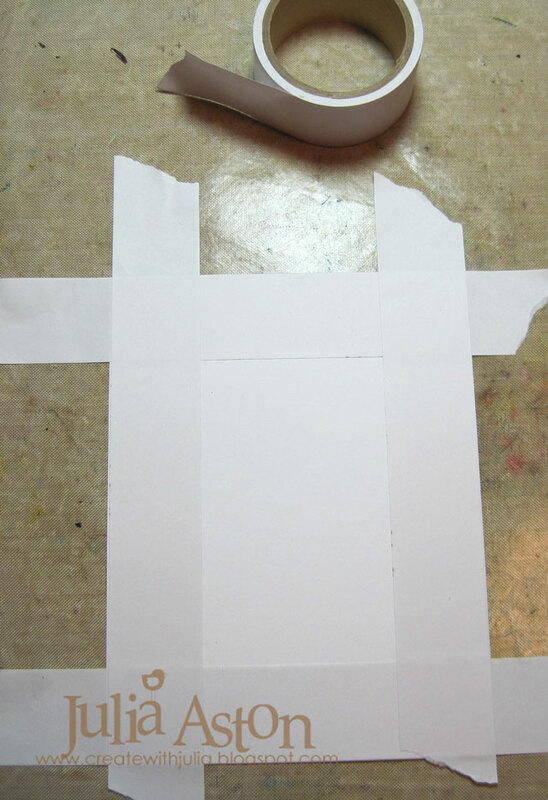 I also cut the mug out of cream card stock and layered the paper to it to give it a little more sturdiness. 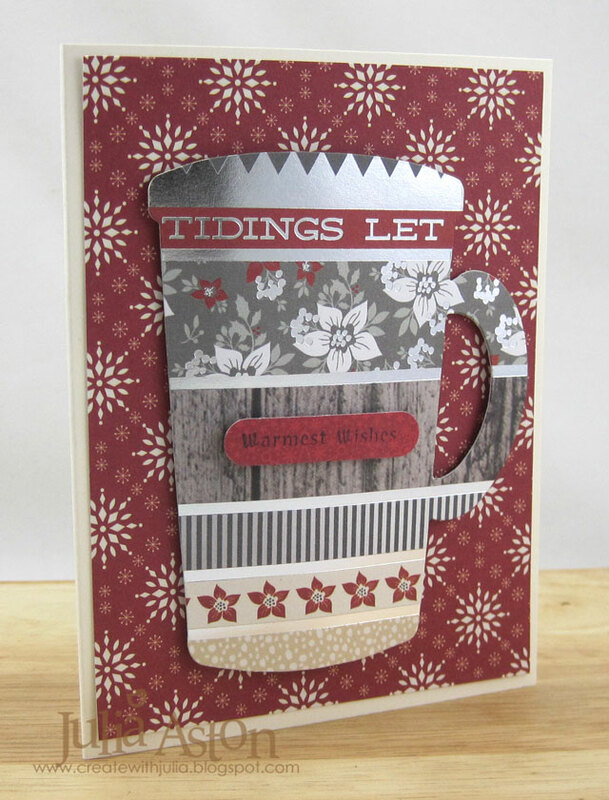 I curved the mug a bit with my fingers and placed thick foam dots in the center of the mug and thinner dots along the edges so the mug would be a bit curved off the card. I stamped a sentiment (warmest wishes) and punched it with a word window punch, layering it over the mug with foam dots. I love the snowy/wintery feel of these papers, I feel like I should be sitting in front of a cracking fire! 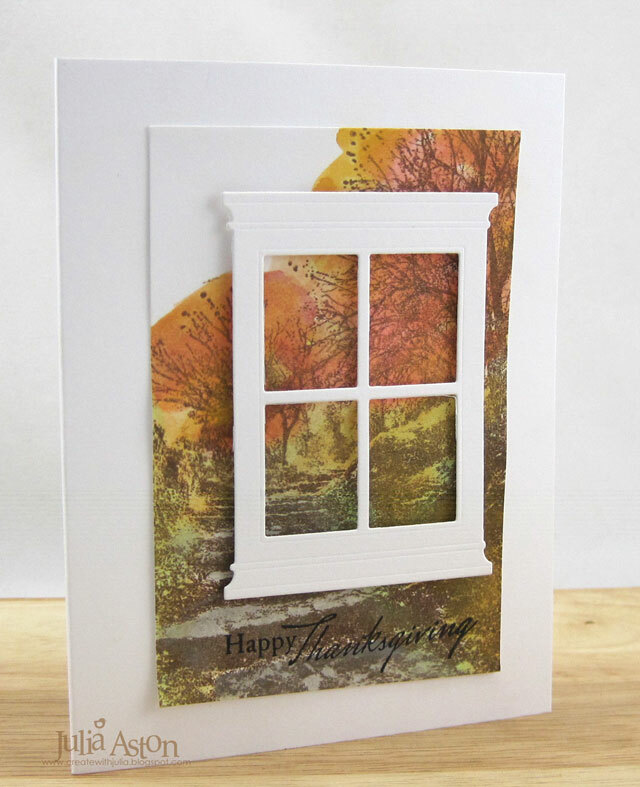 Please check out Eileen's Blog for lots more inspiration using her dies and the DCWV papers! Accessories: Mug and Spoon Die - Eileen Hull/Sizzix, word window punch - SU, thick and thin foam dots. 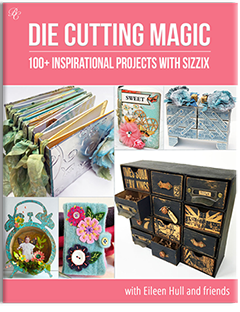 Hi everyone - I'm so excited to announce that I have four projects in this new Die Cutting Magic e-book put out by Bella Crafts - projects I made using some of Eileen Hull's Sizzix dies. 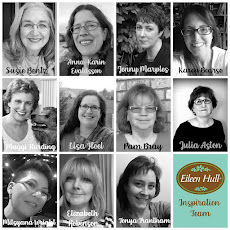 Many of Eileen Hull's Inspiration Team and other crafters have contributed wonderful inspiring projects. Just click here or on the photo of the book on my side bar to check it out and place an order - they are having a special deal this weekend (Black Friday through Cyber Monday) cost is just $2.97 instead of the regular price of $12.97! 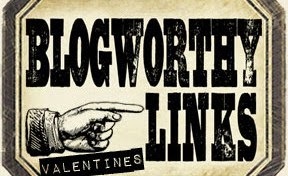 Full disclosure - I will receive 25% of purchase price for any orders that come in from my blog link. If you are not familiar with ebooks, here’s how they work. Purchase by clicking on the link on my sidebar. Once payment is received, you will get a link. Download the book to your device- enjoy it on the go or at your leisure in a comfy chair with your feet up- take some timelooking through the book- there are 154 pages to enjoy! If you see a project you would like to create, click on the links to the dies you will need to make it. 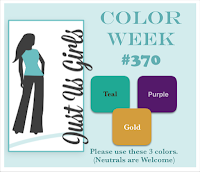 What makes this even better is- Sizzix is having a big sale this weekend too. Check out these prices! 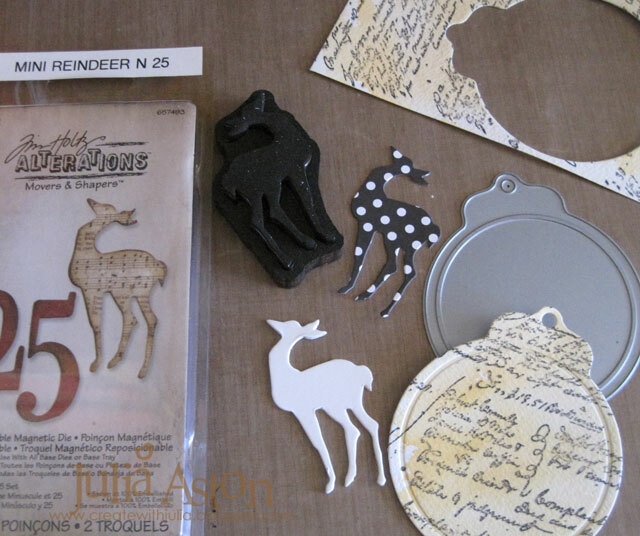 There is so much great inspiration in Die Cutting Magic– especially perfect for this time of year when you are getting ready to make your holiday cards, presents and food gifts. There are instructions for over forty projects plus an Inspiration Gallery with even more ideas for you! 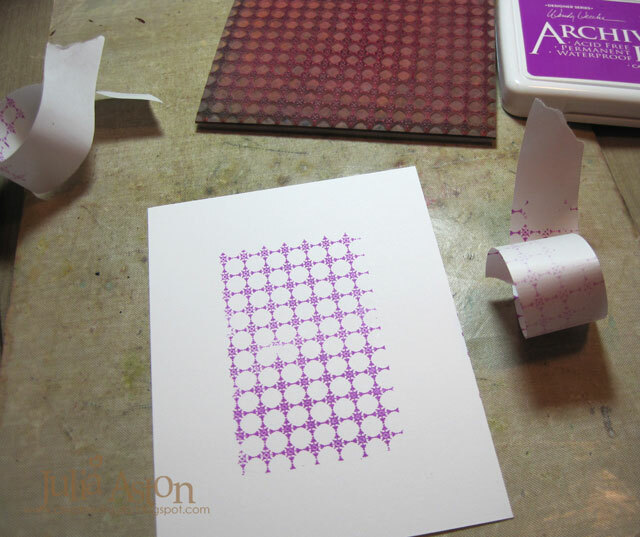 Do you love to DIE CUT or want to learn how? 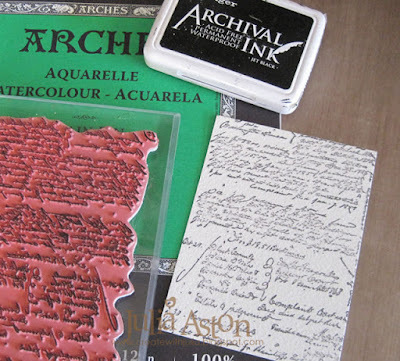 Over 100 project ideas at your fingertips! Black Friday Weekend Special…Get 77% off. Buy now for only $2.97!! 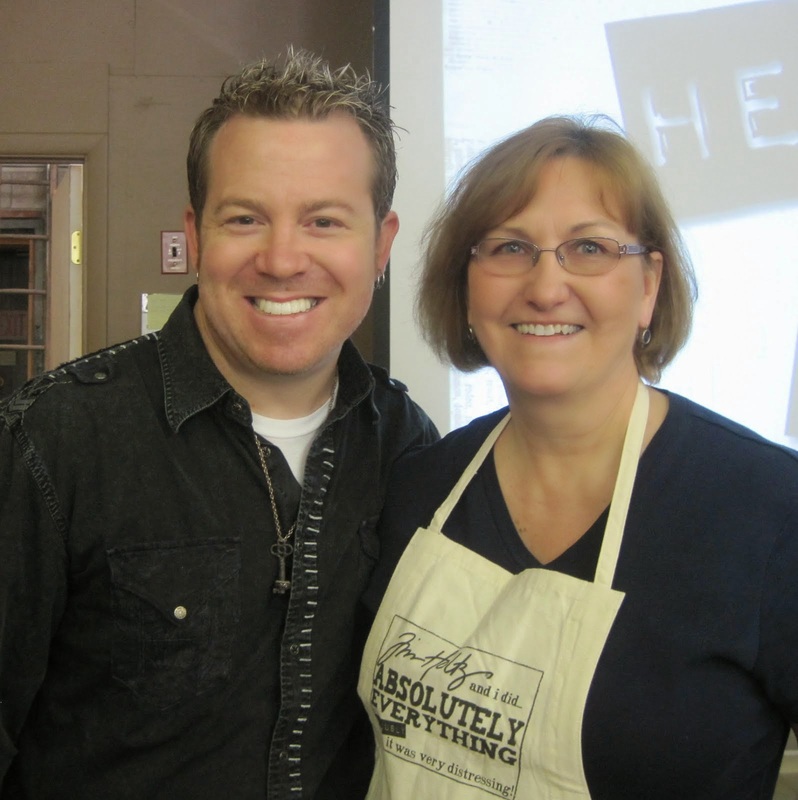 Delicious projects by Sizzix Designer, Eileen Hull. Stunning projects by top industry designers. Detailed, easy to understand instructions. 100% digital…view on any device! 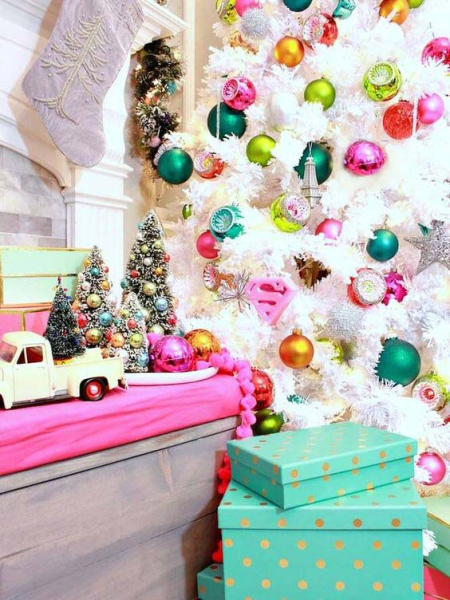 Well, you can't get much more festive than the wonderful inspiration photo for the November PTI Blog hop! I added Martha Stewart Coarse Glitter to the trees to give the look of snowfall on the trees. The glitter makes the trees look blurry in the photos - it must be refracting the light all over the place! IRL they are clear and very glittery! 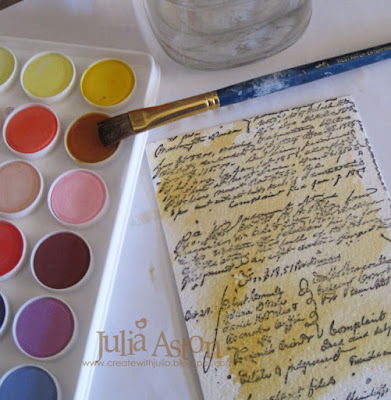 I used an oval Nestability for the opening - and the paper is from Green Boutique. 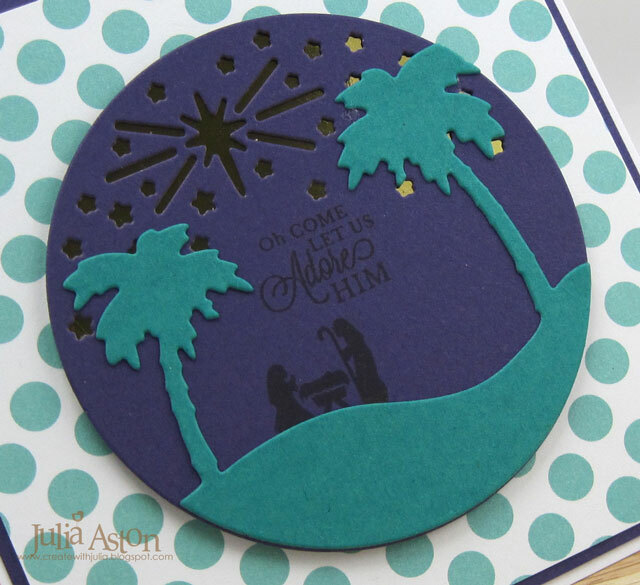 I layered the oval die cut panel over the card base with foam dots. The Hibiscus Burst top of the cake plate and the tree are popped up as well. There are 3 graduated size trees in the stamp set - and I originally was going to use all three on one card - but I decided that was going to get really busy looking! 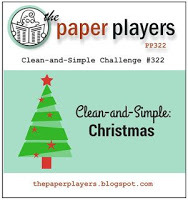 - so I made 3 cards - each one with just one tree! Here's the baby tree - I made the oval cut smaller . and here's the papa tree - I just used the top of the cake plate and cut it in white card. Three more Christmas cards for my box - it's almost time to start sending them out now! I'm off to check out all of the other inspired cards - you'll find the blog hop on Nicole's blog here. 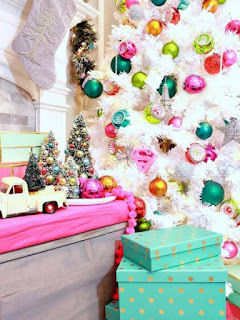 Accessories: Oval Nestabilities, Joyful Christmas and Cake Platter Dies - PTI, foam dots, Martha Stewart Coarse Glitter, rhinestones - Kaiser Craft, Scotch Quick Dry Adhesive. 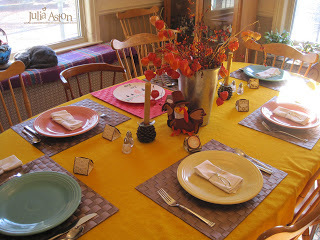 Wishing everyone celebrating today a most Blessed Thanksgiving Day! We're traveling just a few towns over to Arlington to share a turkey dinner with niece Katie's in-laws, Mike and Maryanne who graciously invited us this year. Here are a few cards I've made over the years to celebrate this holiday. My son Josh, now 39, made these little Pilgrims when he was in kindergarten and I've displayed them each year since! 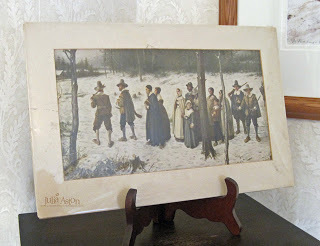 And a picture that my parents and grandparents always displayed in the home during November- "Pilgrims Going to Church" by George Henry Boughton. They gave my sister and I each a copy so we could continue the tradition. I pulled out my long neglected Petite Places Nativity Stamps and Scene It Bethlehem dies and using teal, purple and gold - made another Christmas card for my stash! I adhered a piece of shiny gold card stock behind the purple piece so the gold would show through the star cut outs. 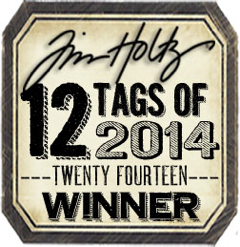 Here's a close up showing the sentiment - it's hard to get the gold to show - you can see it better above! Have you got your holiday cards all made?? I think I'm done - my Christmas card list is shrinking each year so that always helps! Here's the link to the JUGS challenge. There's just a couple of days left to link up! Paper: white, Royal Velvet, Tropical Teal, DP Text Style Funky Town -PTI, gold card - Marks Finest Papers. 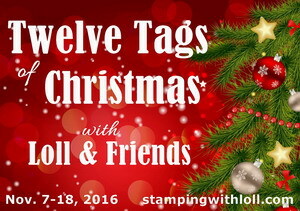 Today I have a Christmas watercolored tag to share that I made for two challenges. When the ink was dry, I brushed over the panel with water and then water colored the panel with an burnt orange color and let it dry. I watercolord over the deer with the same color to tone down the white dots a bit and added Small Talk/Occasions stickers. I added 3 tiny wood veneer stars (can you see them?!) and looped a piece of gold tinsel string through the top. 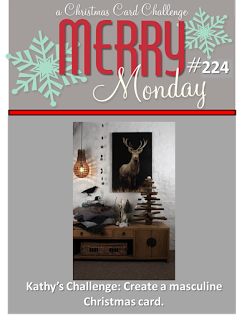 I often send a tag as a Christmas card so the receiver can hang it on their tree! Accessories: dies - Tag Sale #4 - Papertrey Ink, Mini Reindeer - Tim Holtz/Alterations Movers and Shapers, Idea-ology - Small Talk/Occasions, water, brush, watercolor paints, wood veneer stars - American Crafts/Studio Calico, gold tinsel string - Prairie Bird Boutique Etsy Shop. 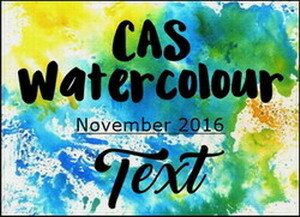 November CAS Mix Up Challenge - Mid Month Reminder! 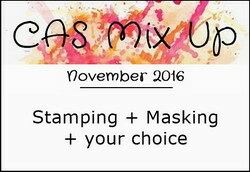 I'm back to remind everyone there's still time to join in with a card for the November CAS Mix Up Challenge! 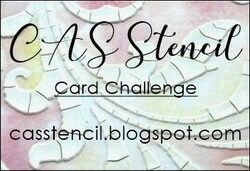 You'll find links to videos showing different kinds of masking over at the challenge blog. For this card I used Eclipse Tape to mask the edges of my card stock panel. Then I stamped an Ornate Circles Background stamp using Cactus Flower Ink - so the image just showed on the exposed center of the panel and was automatically framed in white when the tape was removed! I added a little piece of a die cut Wild Flower in black and a sentiment stamped on a white rectangle that I layered over the stamping with foam dots. 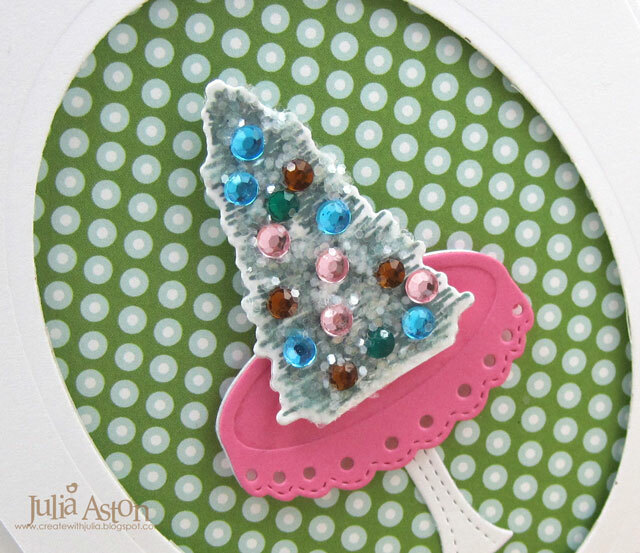 I added 3 white sequins to draw the eye around the card. 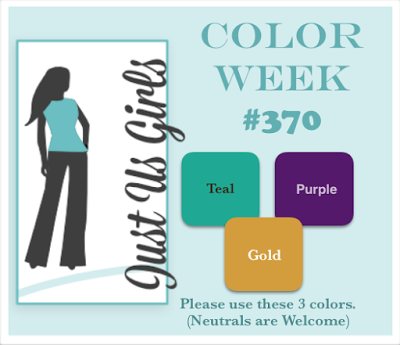 So, please join us over at CAS Mix Up Challenge and show us how you create a masked design! Stamps: Ornate Dots Background Stamp - Wendy Vecchi Studio 490, Everyday Blessings - Papertrey Ink. Accessories: Wild Flowers Thinlits Die - Tim Holtz/Alterations, Winter Blend Sequins - Avery Elle, Eclipse Tape. 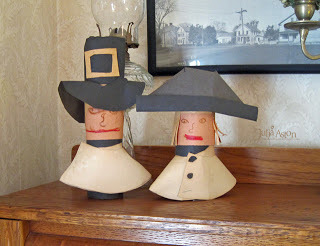 It's Tuesday - and I'm back again to share another project using Eileen Hull's Sizzix Products and DCWV Paper Stacks. All month the Inspiration Team will be posting on their own blogs and over at Eileen's blog. 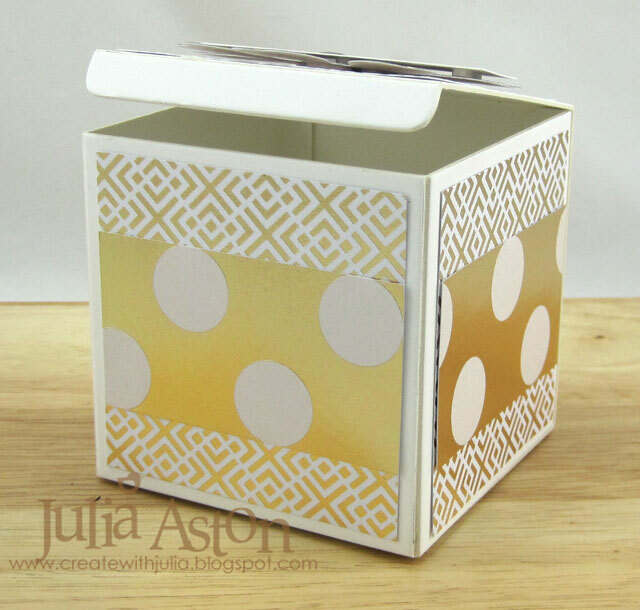 Today I made a 3"x3" gift box using Eileen's Block/Cube 3D die, her Flower Heart and Soul Die and 3 different metallic sheets from DCWV. 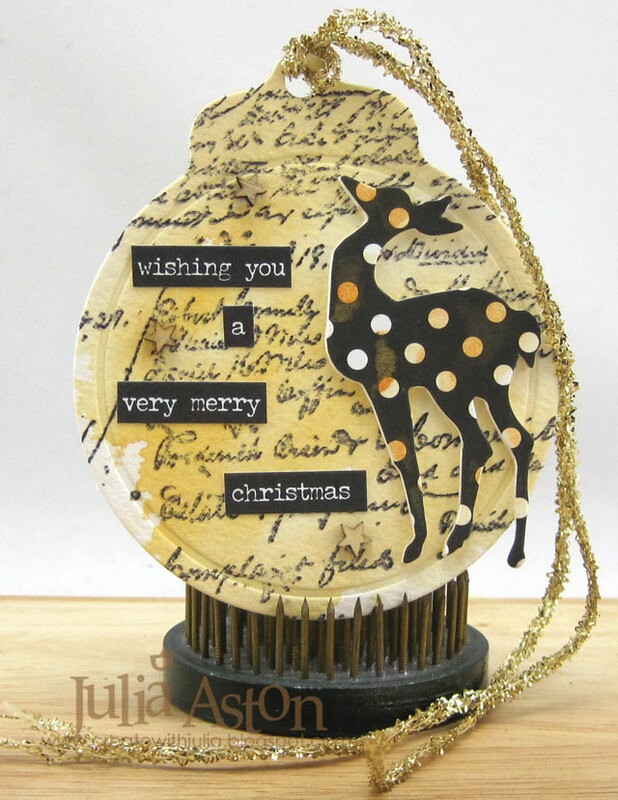 The gold pattern and big dots papers are from Modern Metallic Paper Stack - and the gray with gold lettering used on the flower is from Cranberry Christmas Paper Stack. I die cut the box out of white Little Sizzles Matboard, then I cut out 6 pieces of the gold design paper 2 3/4" x 2 3/4" (1/4" smaller than the sides of the box) and adhered them to all 6 sides. I assembled the box leaving the top panel open (a very important thing to remember so you can get into the box!!). 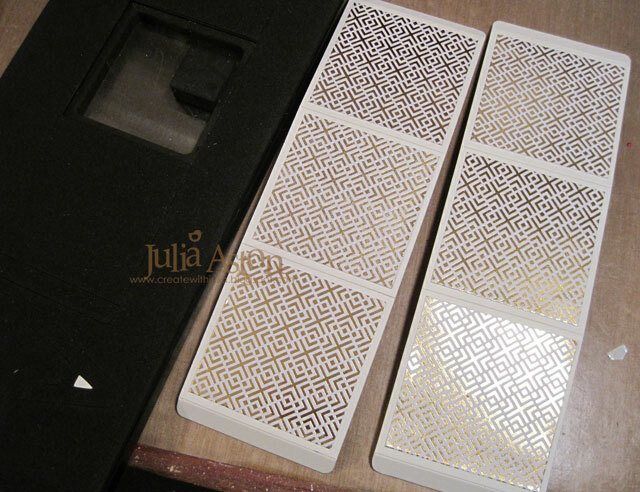 I cut 4 pieces of the gold foil with white dots 1 1/2" x 2 3/4" and adhered them to the 4 sides. I die cut the flower and layered it onto the cover with foam dots. I gold embossed a sentiment on a strip of white card stock and layered it over the petal, again using foam dots. Here's the box on it's side so you can see the cover face on! And now I have a sweet little gift box to put a gift card or small gift for someone on my list! 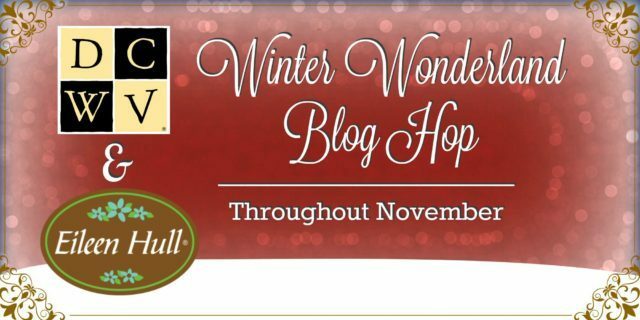 Every Tuesday in November Eileen Hull will have the Inspiration Teams posts all gathered in one place on her blog - so please check it out! 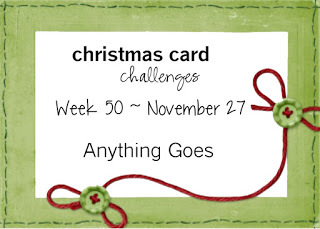 I'll be back next Tuesday with a fun mailable frame card! Accessories: Block/Cube/Bank 3D die and Flower, Heart and Soul Die - Eileen Hull/Sizzix, gold embossing powder, heat tool, foam dots.